While looking for the cryptic creator of an innovative augmented-reality game, an investment film executive (played by Hyun Bin) meets a woman who runs a hostel in Spain (played by Park Shin-hye). 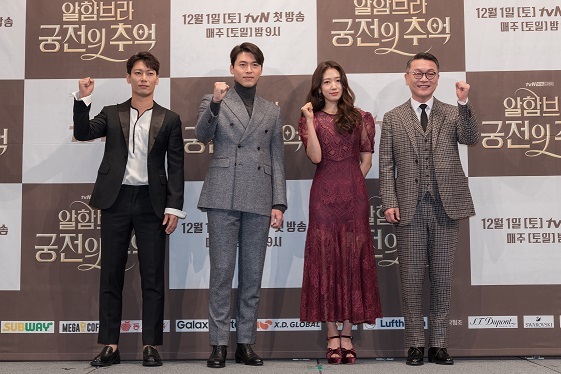 Memories of the Alhambra is directed by Ahn Gil-ho (of Stranger) and written by Song Jae-jung, known for her work including Nine and W. Episodes will launch weekly across Asia and English-speaking territories one hour after broadcast beginning December 1. Episodes will be available one day after broadcast in Japan, and two episodes weekly starting December 11 for the rest of the world.